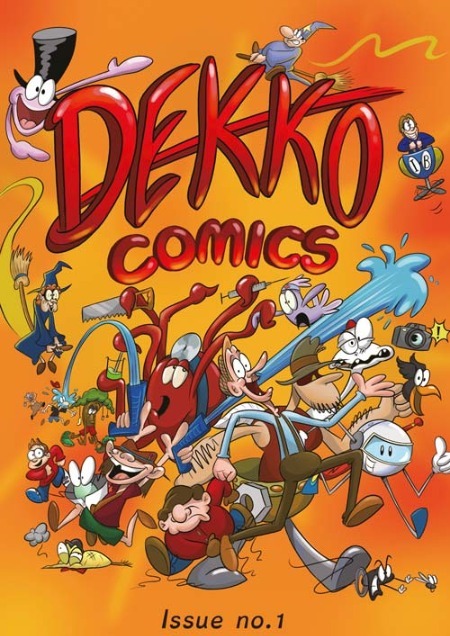 Collins Publishing and LittleStuff very kindly sent us a set of Dekko Comics for review recently, and I haven’t been able to keep them on the shelves! Our Year 6 teacher seems to have been hoarding his set to use in lesson plans, Year 5 trade them under the desks like contraband, and every one of the library copies vanishes into a corner whenever our lunchtime KS2 book club is running. The feedback from the children has been completely positive and they seem to have appealed to all kinds of people – younger readers keen to stretch themselves are learning more; older readers who struggle with blocks of text are able to pick up concepts quickly; readers looking for humour are giggling but also coming to tell me what they’ve learned; and non-fiction fans absolutely love them wholesale. Each issue is brightly coloured and organised into mostly comic strips, with some full-page spreads which would make excellent classroom posters or handouts. There are also puzzles to test out what you’ve learned. The comic strips tackle a different subject area each, covering English, several languages, maths, sciences, history, geography and even PSE. Art, music and RE are not covered in these first issues; I hope they will be in future. I particularly liked the English strips myself as they illustrated concepts such as metaphor and simile very well. I think you could quite easily turn some of these cartoons into interactive games, and it would be fantastic to see these comics issued as electronic copies so that teachers could show them to the whole class at once on the whiteboard or by using tablets. I do think some of the strips would work better in a larger format as the text is rather dense in some of the cartoons; perhaps printable A3 PDF files could be part of the offering for a school subscription. Colour-coding is used extensively – for example, in a French cartoon giving examples of pronunciation, the French words are highlighted in the text and the pronunciation given at the bottom of the page. This works quite well in the main, although I would like an assurance that this has been tested for children who are colour-blind, have visual stress, or use a coloured overlay for dyslexia. All in all, I think these would make a good addition to a school library, as a Y5 or Y6 classroom subscription, and as a staff resource for KS2 topics – they’ve certainly been very popular here! As a parent, if your child struggles to access written material whether in school or as part of your home education, a subscription would be well worth a trial. Also, Doctopus rules. 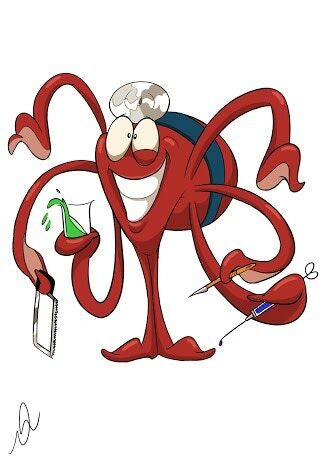 I would read an entire comic of Doctopus all by himself. I would like to subscribe to this for my son . How do I do this ?